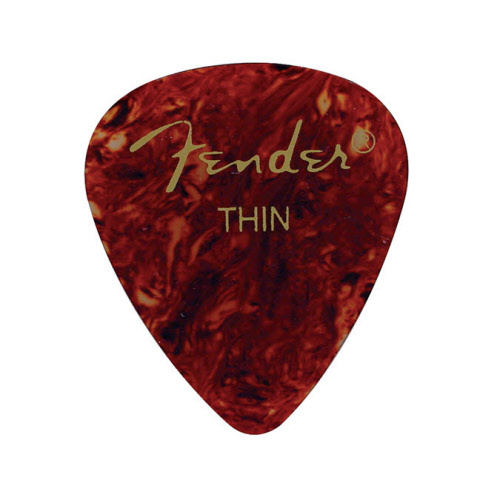 Genuine Fender USA quality : € 0,30 a piece. At the first page you can order a small amount of 12 picks for only € 5,95. Best online price! Underneath are the larger amounts of 72 pieces on sale from €34,95 for only € 32,95. And at the second page we sell a mega package of 144 plectrums for only € 42,50. That's only € 0,29 a piece. The more you buy the cheaper the picks are! Lowest price on the web! 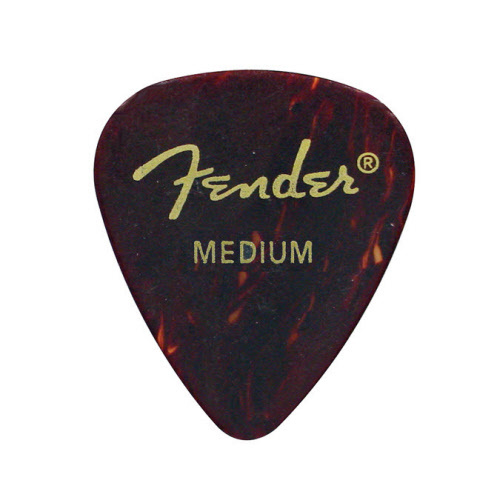 Basic pick of the most common guitar brand of the USA. Standard teardrop model. Size: thin. Color: tortoise. On sale: 12 pieces from € 6,95 now for € 5,95. Standard teardrop model. Size: medium. Color: tortoise. Standard teardrop model. Size: heavy. Color: tortoise. On sale: 72 pieces from € 34,95 now for € 32,95. Big supply bag of 144 pieces, now on sale for € 42,50. That's only € 0,29 a piece: best online price!